Great Britain, (Caricature) Ackerman "The Civic" No. 3 Illustrated Comic Envelopes, bright and fresh, couple mounting nicks on backflap, Very Fine, it is believed that fewer than half a dozen mint example exist and are rare as the used examples. 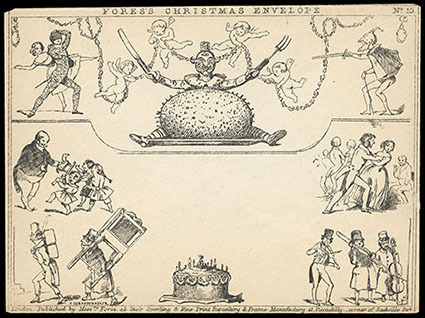 Great Britain, (Caricature) Fores's Illustrated Comic Envelopes, of eight different; includes Fores's Courting Envelope (No. 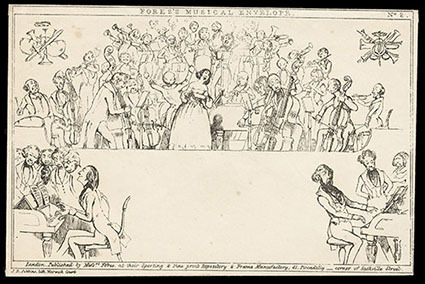 1), Musical (No. 2), Dancing (No. 3), Racing (No. 5), Coaching (early No. 6 without number imprint), Shooting (No. 7), Civic (No. 8) and Military (No. 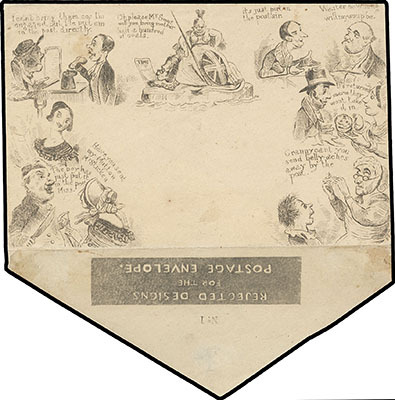 9); couple with minor mounting thins on reverse, Very Fine, a wonderful near complete set of Fore's Caricature Envelopes. Great Britain, (Caricature) Fores's Illustrated Envelopes, lot of two unused comprising Hunting (No. 4) and Shooting (No. 7) envelopes, plus group of 11 mostly different Deraedemaeker reprint envelopes. 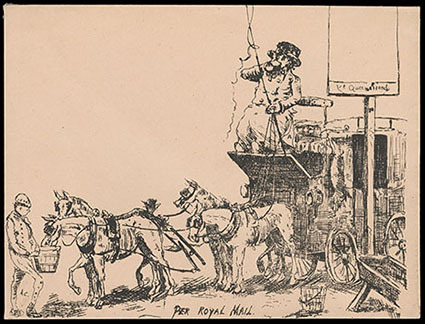 Great Britain, (Caricature) Illustrated Comic Envelopes, group of 11 from the same artist (unknown), each incorporating a place for stamp into design; includes horse & carriage accident, children fishing "I drop you a line", "Per Royal Mail" showing four-horse coach, etc. ; one with faults, Very Fine. 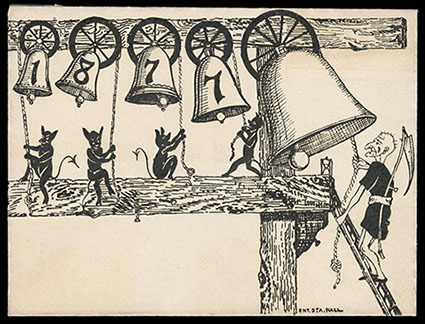 Great Britain, (Caricature) Page Illustrated Comic Envelopes, group of five different; including two Christmas grotesques, humorous caricature chased by dog, Gladstone and 1877 New Year Bell scene, most with "Ent. Sta. Hall." imprint, Very Fine. 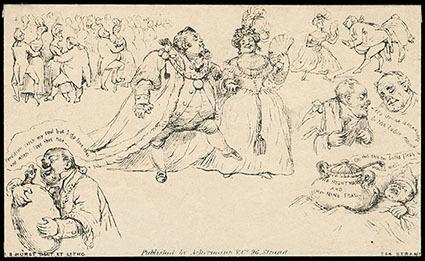 Great Britain, (Caricature) Spooner and Southgate Caricature Envelopes, group of 6 comprising Spooner #1, 2, 3 & #5 comic envelopes, Southgate #6 Blarney Stone, and a Spooner #5 type without inscription but "No. 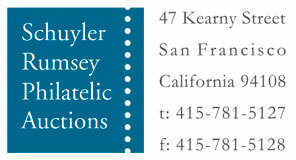 1, Rejected Designs for the Postage Envelope" imprint on flap, F.-V.F. and scarce group. 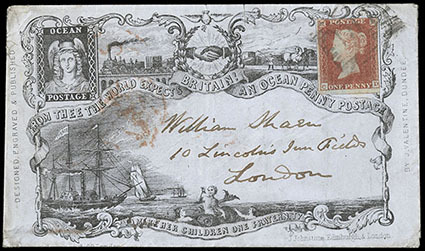 Great Britain, (Ocean Penny Postage) Ocean Postage, allover J. Valentine design (state 3), on cover franked with 1841, 1d red brown tied by grid handstamp, reverse with London "16 Nov, 1840" origin and red receiving cds's, Very Fine, a lovely example of this design state with the four ships right of Neptune removed to give more room for the address. SG No. 8.